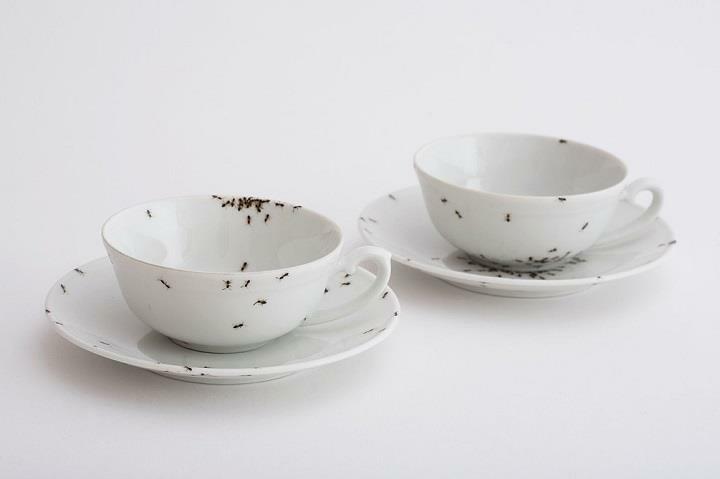 German designer LA PHILIE, a.k.a. 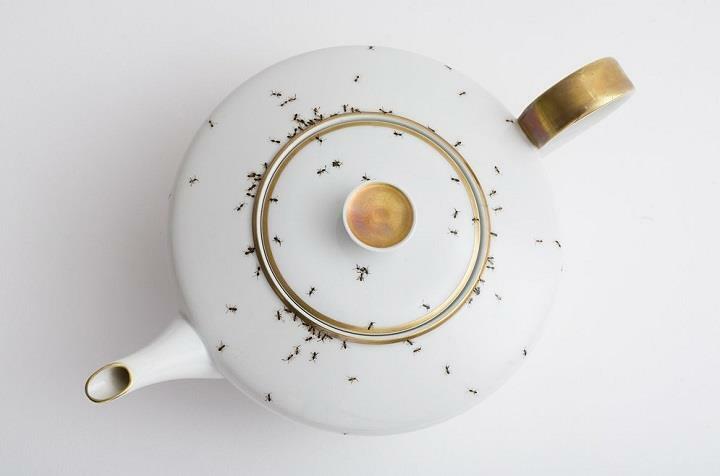 Evelyn Bracklow, creates unique and elaborate pieces using old porcelain service and her wonderful imagination. 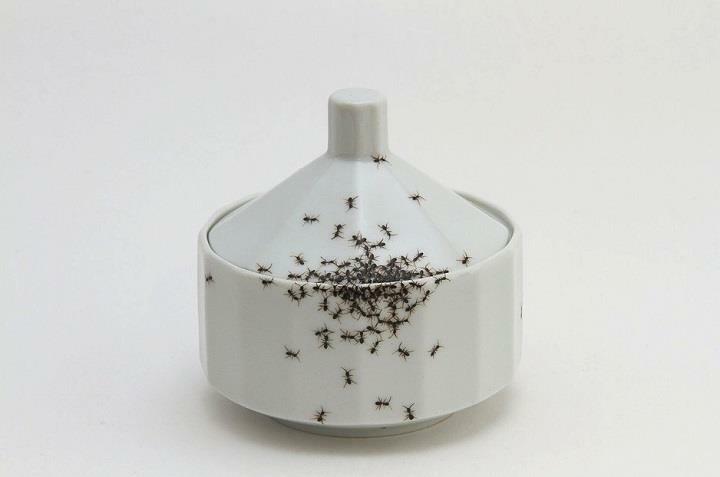 The first series of her works, titled Chitins Gloss, is decorated with ants. 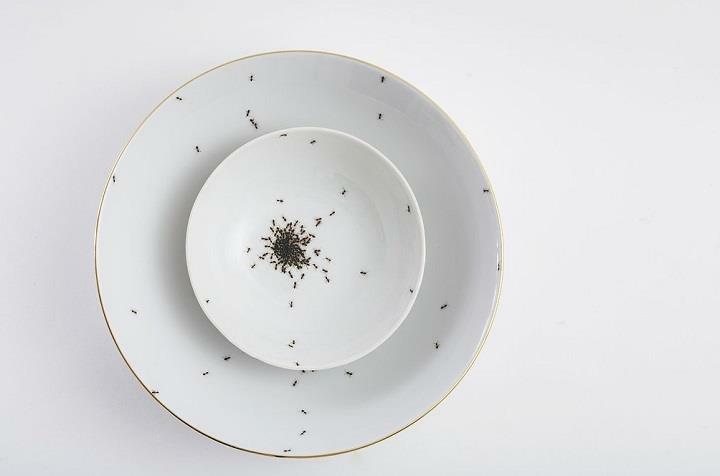 The inspiration came from one ordinary moment, when Evelyn saw carelessly placed plate covered by ants, which fascinated her so much that she wanted to keep that image forever. 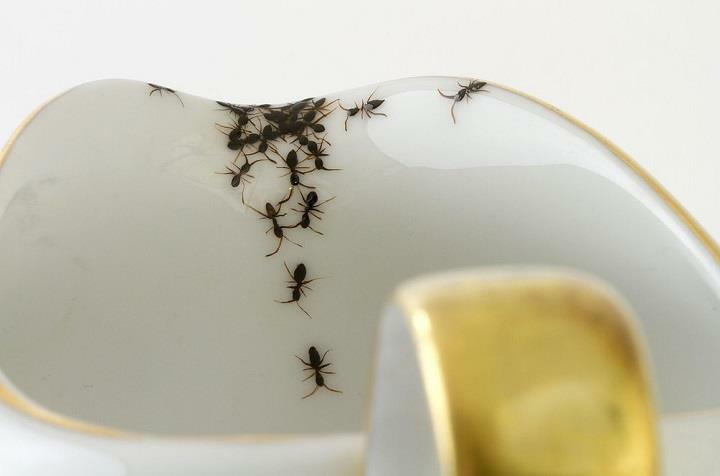 Each piece is unique as she scrupulously paints ants with her hands. 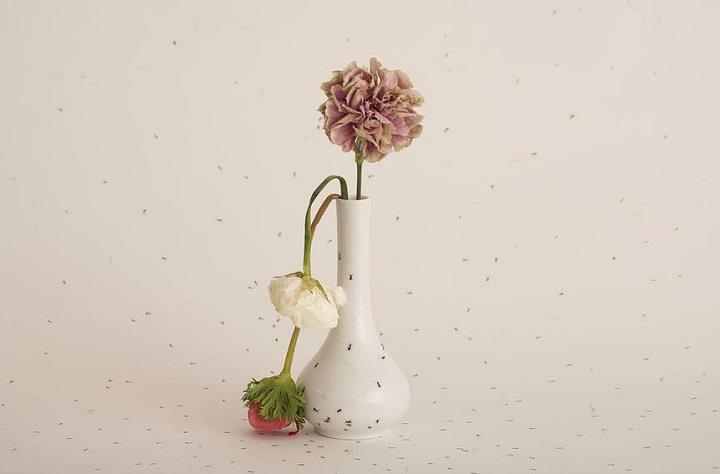 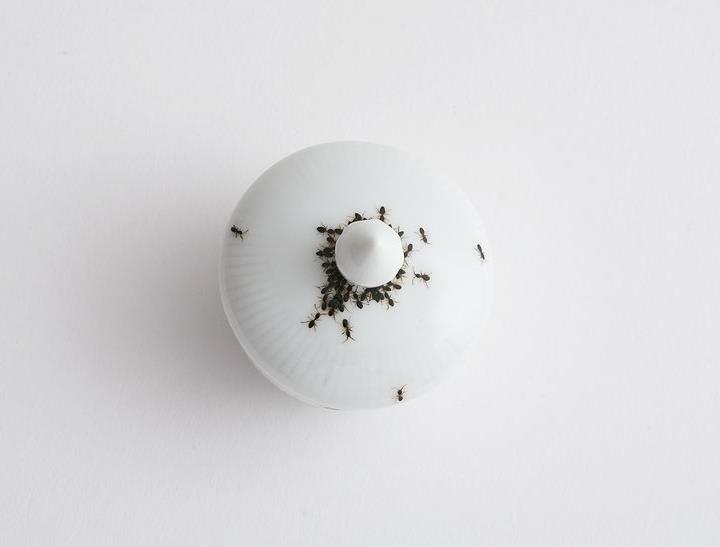 The designer states that the ants symbolize all the stories that any discarded piece of porcelain carries with it. 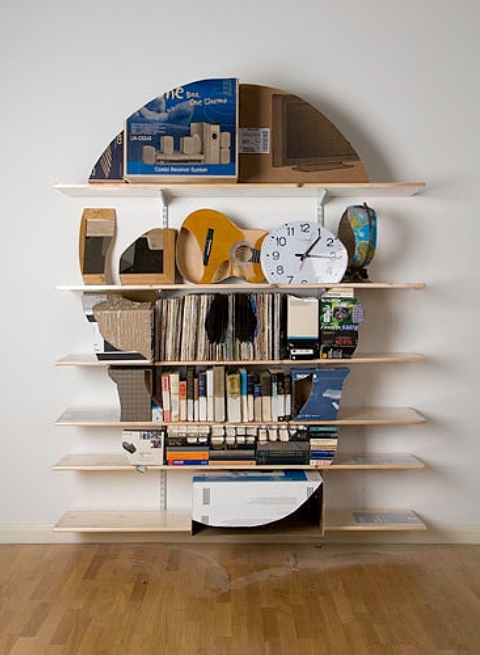 The whole work represents the feelings of fear, admiration, fascination and beautiful decay.